It’s still not quite the iTunes App Store, but largely improving Android Marketplace has hit 100K application milestone. Announced earlier through Google’s AndroidDev twitter account, the Android Marketplace has over 100,000 apps. It really is a significant milestone, it shows the true popularity of the Android operating system, and gives Apple some stiff competition. Google still has a long ways to go before it catches Apple’s iTunes App Store, which currently has close to 300,000 apps to choose from. Coming in at third place is RIM’s Blackberry App World, which has about 10,000 applications. This has been a milestone has a taken about two years to reach, about six months ago Android had about 50,000 apps to choose from. It’s safe to say the Android Market is growing at a good pace. 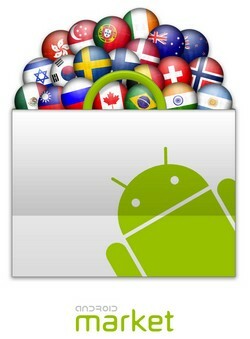 Although Android phones have overtaken Apple’s iPhone in worldwide sales, the Android market has yet to catch up. We all know that Android’s device fragmentation is reason for this. It’s something Google still needs to address. Being an Android user myself, I hope this the first in a long line of milestones for Android, and the Android Market. We will just have to wait and see.